Guy is a Partner and Head of Employment. Guy specialises in all aspects of employment law and commercial landlord and tenant disputes. He has a particular interest in director’s service and consultancy agreements, Employment Tribunal representation, disciplinary and grievance matters, Working Time Regulations, discrimination and TUPE matters. Guy acts for both employers and employees in employment matters therefore he is able to offer you a unique insight when dealing with cases in the Employment Tribunal. Guy also has over 15 years’ experience in dealing with disputes in relation to mobile homes. Such disputes include the termination of Written Agreements for example, on the basis of pitch fee arrears or a home being detrimental to the amenity of the site. I have enjoyed working with Guy as he has carefully steered us through the minefield of employment legislation. He provides thoughtful, pragmatic and helpful advice with a commercial view. I would not hesitate to recommend him to any other company for employment advice. I had all but given up hope of pursuing my unfair dismissal case until I was introduced to Guy Salter from SME. Guy has been a real inspiration and has handled my case with great sensitivity, professionalism, perception and deliberation. I had the benefit of support from Lisa and an incredible Counsel too, thanks to Guy, and it was an amazing team effort that succeeded in securing a positive outcome for me. Facing a legal system for the first time can be very daunting, but with the support of Guy and his team and their confident and industrious approach to pursuing my case, it certainly lessened the burden and my anxieties. My sincere thanks and appreciation to you all. I would recommend Guy Salter to anyone who has an employment dispute, whether company or individual. Analytical, open, direct and compassionate (also a wicked sense of humour), he will always advise you on what course of action you should take, keeping you fully aware of any potential pitfalls. Someone you can trust and rely upon. 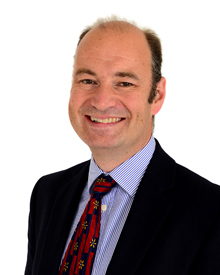 We have worked with Guy Salter for a number of years now on a variety of employment issues. Guy combines knowledge, professionalism and an understanding of our sector with an approachable, friendly manner and sense of humour which is always much appreciated. I have found Guy Salter to be a knowledgeable employment law specialist who dealt with my case with professionalism and compassion. I achieved an excellent result working with him which would not have been achieved on my own. "Thanks again for making this process a quick & easy one, it was just how I needed to get this done whilst working out here in a stressful environment. I will be recommending your services to anyone whom may need them in the future."